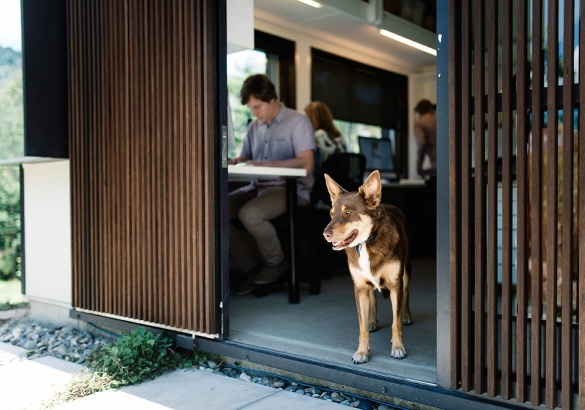 Bligh Graham Architects is situated on the outskirts of Brisbane City primarily undertaking work throughout Brisbane, and the Sunshine Coast. The majority of the work completed by the firm is residential in nature with cultural, interior and commercial projects also commissioned. Budgets have ranged from $100k to $15m. 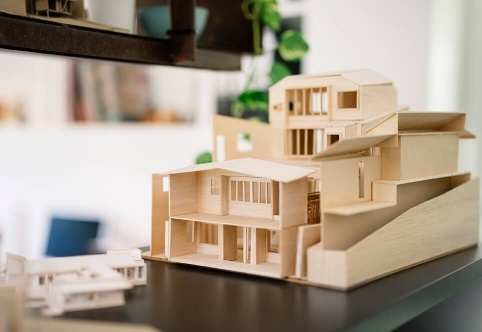 Since being established in 2002 by Chris Bligh and Sonia Graham the quality of the firm’s work has been repeatedly recognised in the Australian Institute of Architects’ awards program and by local and national print media. In 2008 Bligh Graham Architects was the recipient of the prestigious Robin Dods award – the premier State award for residential architecture. The practice only takes on a limited number of projects at a time to ensure a high level of service and professional delivery..
We believe being entrusted with the task of designing an enduring structure is a great privilege and responsibility. Beyond fulfilling their function buildings should enrich people's everyday life, promote a sense of wellbeing and engage with our culture. This belief has led to the pursuit in our work of what we call ‘an architecture of gathering’ – that is an architecture focused on relationships and associations whether it be between buildings and their sites, people and nature, the past and present, with the ambition of creating places that resonate – that ‘feel right.’ Such architecture is not only functional but has a timeless warmth and richness, simplicity and humility. It is a tailored response to each client and site and not just a style. It is as much about the making of landscapes and gardens as it is about enclosures – of private and public worlds. Sustainability is a core concern that we address at all scales and phases from the initial site planning to the consideration of material selections and additional mechanical services. We look to the holistic integration of passive design principles into the spatial and material logic of our designs. Reflecting our pursuit of an ‘architecture of gathering’ is our engagement in an in-depth process of design exploration. In the journey from concept to detail we exploit various means of testing ideas and communicating these to the client. Following careful analysis of the client brief and site we start with hand sketching followed by physical model making. We then move to 3D CAD modeling and drafting. Samples of proposed materials and finishes are gathered and the selection of all built-in items covered. The close involvement of the client in the journey from ideas to form is critical for achieving a building they love. We use physical and 3D CAD modelling to assist the client visualising the proposal. From the very start of each project we anaylise the client budget and its relationship to the brief to ensure that the design proposal is appropriate, and clients have a clear understanding of the fit of their budget to their brief. We involve both builders and costing professionals in assisting with this at each stage of the design process. 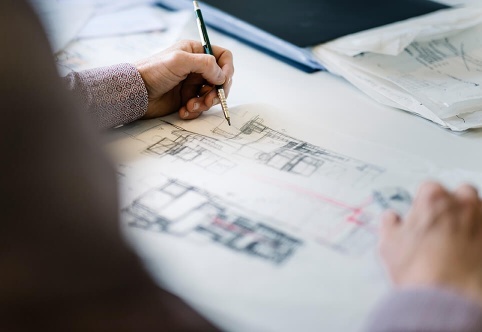 Our typical service includes representing the client when the building is on site and working collaboratively with the builder to ensure the correct execution of the design, the resolution of any unforeseen items and the exploration of opportunities that may arise. "Bligh Graham Architects developed a unique design that suited the location and provided a functional and beautiful living space. Subsequently, they have designed four other houses for us. We have found Chris an excellent person to deal with and would have no hesitation to use him again on any other projects we may develop. "